St. Michael the Protector is a mission of The Liberal Catholic Church, Province of the United States. Regionary Bishop Rt. Rev. WIlliam S.H. Downey, flanked by Rt. Rev. Robert W. Green (L) and Rt. Rev. Dr. Lloyd Worley. 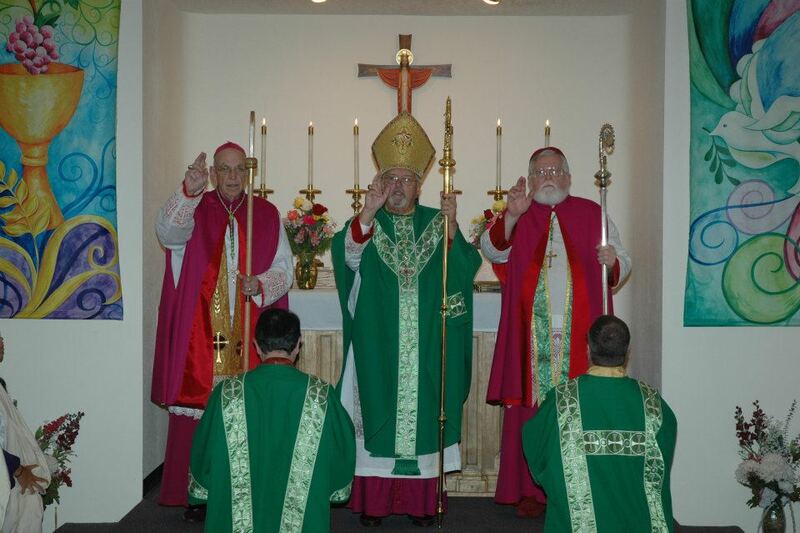 The final benediction at the celebration of the Holy Eucharist at the Provincial Triennial Assembly, 16 October 2011, Our Lady Queen of Angels Church, RIo Rancho, New Mexico. Province of the United States. A lay order for women in The Liberal Catholic Church. Open to all who need or can offer prayers. The journal of The Liberal Catholic Church Province of the United States. 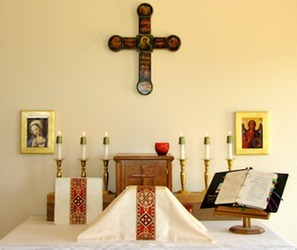 The Liberal Catholic Church is an independent and self-governing body; neither Roman Catholic nor Protestant — but Catholic… It aims at combining the traditional sacramental form of worship — with its stately ritual, its deep mysticism and its abiding witness to the reality of sacramental grace — with the widest measure of intellectual liberty and respect for the individual conscience. It therefore permits to its members freedom in interpretation of the scriptures, the creeds and the liturgy. Regarding the mind as one of the great avenues to spiritual apprehension, it encourages among its adherents the freest play of scientific and philosophic thought. It welcomes to its altars all who reverently and sincerely approach them, erecting no barriers in the nature of standards of dogmatic belief. The Liberal Catholic Church is a living Christian church which maintains that the form of religion should keep pace with human spiritual growth and enlightenment; but it also holds that the church has handed down a very precious heritage from Christ himself. For issues of Ubique, the quarterly journal of The Liberal Catholic Church, Province of the United States, click here.